We can help you repair your credit. Credit repair has become a burgeoning field ever since the recession began in 2008. Because many people were driven into debt by their credit practices, unscrupulous lenders and health care expenses, the industry has grown quickly and the number of credit repair companies offering these services has exploded. This fact can make it difficult to choose a company wisely, since many of these companies have only enjoyed a short tenure and there is less common knowledge about what makes for a good credit repair company. These companies can also be referred to as credit restoration companies. This page will seek to help inform potential customers and provide them with a basic knowledge of the process of credit repair and the possible services that companies offer to produce a better credit score for their clients. Although there are many different companies to choose from, there are very clear ways to assess which company can serve your needs. The first and most frequent reason people hire a credit repair service is because they are interested in making a large purchase like a house or a car. This is the traditional reason to seek these services, but the truth is that many other societal actors are seeking credit information on people as an assessment tool, including employers and rental agencies, schools and even social clubs. The credit repair industry has some very reputable agents, many of them with long years of financial experience that makes them very sympathetic to the stress and constrictions debt engenders. All credit relationships are essentially contractual. Contracts are legal instruments, so the amount of either experience with credit agencies or their professional financial or legal expertise that a company can demonstrate is a good indicator of their general value as your representative. There are a huge range of communication services offered amongst the companies. The most thorough are those services that include a real-time portal to each client’s progress that allows tracking of all activity on the file. This service gives clients access to answers to most of the questions that they would ask of a personal agent. Portal service cuts down on the need for direct communication, but it does not replace it. Often, a client is experiencing a problem that can’t fit the company’s blanks or their Frequently Asked Questions section. That is why it is important that you seek a company that has live telephone agents as well as email and portal services. It is hard to imagine a more frustrating process than automated phone service when you have a problem that requires explanation. It is a good rule of thumb that the more ways you can communicate with a company, the better. The most important thing is that you be able to get a real human on the phone if you need one, so make sure that there is a live contact option at least during business hours. There are three major credit reporting agencies and your credit score is a compilation of the information contained in those reports. The information in your report is provided by any company that has extended credit to you over your lifetime. Many credit repair agencies offer to provide you with a free credit repair consultation and will offer a free credit score check from at least one of the credit reporting agencies. This allows them to draw you into their business and potentially persuade you to choose them for your credit restoration. Ask them to explain the types of items on your report and to distinguish between them based on the different processes they will have to go through to repair different types of items. For example, a complaint about late payments can be withdrawn by the original creditor by letter, whereas a foreclosure requires some proof of current employment and potentially pay stubs for a period of time to reprove your creditworthiness. This is a common introductory offer and necessary process to engage in before discussing what needs to be done to repair your credit. Often credit repair clients have a particular score goal in mind so it is obvious that the first step must be to know where their credit stands. Assessment also gives you a sense of where you are and how far you need to go to raise your score to the necessary level. Beware of companies that pitch their services and make promises without knowing the types of credit issues on your report. They no doubt are only capable of removing simple items. Many times, the information contained on credit reports is just straight up inaccurate. Although that may be surprising, the fact is that the credit agencies are a service provided mostly to the lender class as opposed to the borrower class. The credit reporting agencies tend to err on the side of listing problems rather than protecting your score from inaccuracies. In other words, they would rather record a negative report and inaccurately warn a potential creditor than leave a complaint off your report and have failed to warn the potential lender. There is no requirement that agencies tell borrowers what information is in their reports unless that privilege is purchased. When creditor companies make reports to the agencies they do not inform borrowers or give them an opportunity to dispute those reports. This is the service that credit agencies provide that is so valuable to consumers: they can communicate with the agencies and get them to remove double listed debts, old debts that were paid off but never reported as such and debts that were falsely attributed to your name. One of the reasons that credit agencies provide guarantees that they can lower scores is because of the plethora of inaccuracies that plague these reports. It is almost a surety that there are items on your report that are unjustified, so the chance that the repair company can get something removed and improve your score is probably pretty high. The expertise of a credit repair agency is very helpful when you reach the stage of disputing the inaccuracies on your report. Although it is possible for individuals to question items listed on their credit report, it is less likely to be effective when they are the agents in the process. Credit repair agencies communicate with these companies every day and have relationships with them based on years of interaction. They are knowledgeable about protocol and can anticipate which items can be removed easily and which require a more elaborate process. Once an inaccuracy is identified, the repair agency will directly communicate with the party who reported the inaccuracy and attempt to get them to withdraw the item. This is another place that their experience is of value – they also communicate with the major credit card companies and lenders constantly so they are able to appeal to them in the expected manner. If successful, the original creditor will write a letter to the agency and approve the removal of the item. If the original creditor continues to dispute the claim, further evidence may be required or further inquiries may be necessary to correct inaccuracies. All of these processes are well worn paths for an experienced credit repair agency. If you have long term debts they can often be negotiated into a payment plan that you can afford and thus begin to resolve any bad comments made by creditors on your report for missed or late payments. After the deal is struck, often the borrower can provide the creditor with enough assurance that repayment is forthcoming or that the debt will be settled to justify changing their comments on the debtor’s credit report. This is the type of negotiation that is best provided by experienced arbiters that have knowledge of what the possible penalty parameters are and what is an acceptable repayment plan. Once the lender and the borrower have a negotiated a mutual agreement, often a letter of goodwill can be provided so that items on the credit report can be removed. This is a longer process than just removing inaccuracies and occasionally a creditor will require that the debtor make payments for a length of time before providing the good will letter. Sometimes, credit repair will require that you step out of the credit repair agencies’ arena of expertise. 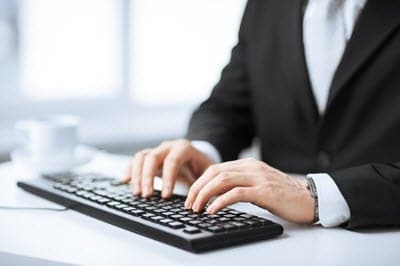 By consulting a lawyer or arranging a separate credit solution like a loan consolidation, it may be that you can change the conditions on your report in a material way. These services are best provided by the experts in those fields, so the process of credit repair may require the borrower to scout for a financial product from a bank or lending institution so as to change their basic financial situation. Then the credit repair service can make sure that the items are removed from your credit reports and your credit score recalculated to reflect those material changes. These laws afford individuals the legal right to dispute inaccurate items on their credit reports with the credit bureaus and individual creditors. The Fair Credit Reporting Act articulates that borrowers have the right to dispute and delete any items on their credit reports that they describe as inaccurate, untimely, misleading, biased, incomplete or unverified. 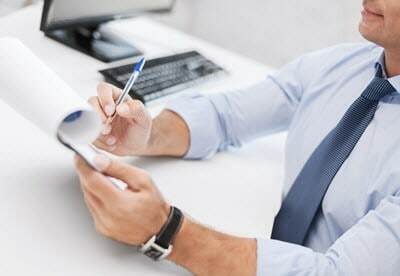 It is possible for an individual to go through the process of getting a copy of their credit reports, communicating with the creditors who have placed items in that report and negotiating with them for the removal of those items. This is not beyond belief, but it is probably inadvisable unless the client is either a lawyer or a financial expert. There are a variety of ways that credit repair companies fashion their service packages. Most of the companies charge a monthly fee for their services, so the contracts are usually very short term. Some companies will offer a flat fee for a period of six months and almost all of the companies allow cancellation. It is important to read the conditions that a company offers for cancellation or for any offer of a guarantee of services or outcome. The first style of package is to charge customers for the monthly service and that usually includes obtaining the original credit reports from the agencies, identifying the repetitions and outdated information, contacting all of the companies that have made negative reports and seeking terms for reconciliation. If this is the service you choose, it would be prudent to ask them to predict the amount of time that these various services will take. The law has requirements regarding the amount of time that is allowed for creditors to respond to inquiries and the pace of the process under this style of service package determines your ultimate cost. Another style of service package is the type that charges by results. Some companies do not require more than a nominal payment until they achieve results. The form that these results take is an item by item removal from your credit reports. This package usually includes the usual original assessment from the actual credit agency reports and allows the customer to anticipate the expense of the service. They can often get the more easily removed items off the clients’ reports quickly and the style of their service motivates them to act precipitously so they can get paid. After removing the obvious mistakes and discrepancies, they will proceed to contacting the original creditors and finding out what terms are acceptable to them to remove their comments. This will require the creditors to communicate directly with the credit agencies, so it is important for you to ask about the repair company’s follow up on these types of correspondence. The third style of service is by number of points of improvement on your credit score. The service package is linked to the success of the service in improving your score, so it seems safer than the monthly package, but that can be an illusion. As explained above, many of the items on credit reports are simply inaccurate or inappropriate. There is an excellent chance that a cursory amount of work by savvy credit repair agents will result in a better score. Companies that report their success rate at 25 – 50 points are not really doing the heavy lifting required to eliminate more complicated items like disputed claims or serious credit history issues like bankruptcies or foreclosures. If the goal of the borrower is to tweak their credit score up to the next level, then this may be very appropriate way to fix their credit problems. If a prospective borrower only needs to increase their score by a small amount to achieve a particular interest rate, then this is also a pretty good choice, since they tend to act quickly to get paid. If you are considering this type of service, it might be smart to acquire a copy of the agency reports on your own before you decide to invest in credit repair services. You can write to remove some of these items on your own if they seem less than contentious or you know your creditor. There are often mistakes like attributing your report with someone else’s debt because they have the same name or some bookkeeping mistake that created a double listing of one item. This type of package is particularly appropriate for those who do not have serious credit problems like bankruptcies or foreclosures in their past. They are much more appropriate for people interested in making a large purchase soon and want to improve their score as much as possible to receive the best credit terms for their upcoming loan. The myriad of companies that provide credit repair services can seem daunting, but there are certainly some precautions you can take so that you end up buying a service that will actually provide you with the help you need. The first step is to get some basic knowledge about how credit repair works, play with the credit repair software to gain some familiarity with the application process and to gain enough knowledge to assess your own situation. There are many nonprofits that provide financial services for free and there are many sources of information about how to repair your credit on the web that are designed to help people fix their credit and stay out of credit trouble in the future. The second step is to set your credit goals. This may require finding out some basic information about the necessary credit requirements of whatever situation you are facing, be it renting an apartment or applying for a job. The third step is once you have decided that you need to hire professional help to negotiate fixing your score is to choose the style of service package that is most likely to reach your credit goals. The nature of the items on your score has a lot more to do with the degree of expertise you will need to employ to remove them. For example, if you have a disgruntled creditor who is stubbornly refusing to take an item off, it may be necessary to have a more legally informed credit restoration service. If you have a bankruptcy or a foreclosure in your past to overcome, it may be that a credit repair agency that is made up of former bankers and financial investors is the best solution for you. The type of debt and the intensity of the financial problem is the main guide to the best credit repair service you want to engage. The considerations include cost, level of expertise, speed of service, degree of score change needed and the means by which you can track the progress of the service. It is important to ask questions and to take notes while you speak to the credit repair agents. Keeping a calendar of your credit responsibilities and the repair company’s predictions about when you will see or hear of progress will help you assess the quality of the service you are receiving once you have engaged a repair company. The calendar can include when you last contacted the repair agency, when they predicted an item would be resolved and the length of time it takes for that removal to be reflected in your actual credit score. This attention to the end of the process is important when you consider which company to hire. Asking about how long it will take the creditors to respond, the credit agency to respond and the company you are hiring to respond to requests and directives is a huge factor in the cost of monthly services. You should be able to map the future process of credit repair item by item after you have consulted with a company and if they cannot give you an estimate of how long these steps take, you might want to consider a different company.